Last Friday (August 31st), Liverpool trio, Stealing Sheep performed Wow Machine, the fifth free event of The Hexagon Experiment, a mind-altering series of six free ‘Friday night experiments’ featuring live music, conversations and original commissions from pioneering women at the forefront of music, art and science. Brought to you by Manchester-based music charity Brighter Sound, The Hexagon Experiment forms part of their Both Sides Now initiative, a three- year programme to support, inspire and showcase women in music across the North of England. Created by one of the most exciting and upcoming bands of 2018, Stealing Sheep, and presented by Brighter Sound, Wow Machine is one of the biggest and most anticipated events of The Hexagon Experiment which is also a key music strand for the Great Exhibition of the North 2018. The event featured a live theatrical-musical-dance-art spectacular, in tribute to the electronic music pioneer Delia Derbyshire, best known for her influential work with the BBC Radiophonic Workshop during the 1960s and in particular, her popular electronic arrangement of the theme music to the British science-fiction television series Doctor Who. With technical wizardry from experimental performance producers The Kazimier, a giant hexagonal stage, sci-fi sunglasses and sparkly suits, this one off and original performance by Stealing Sheep was absolutely crucial. 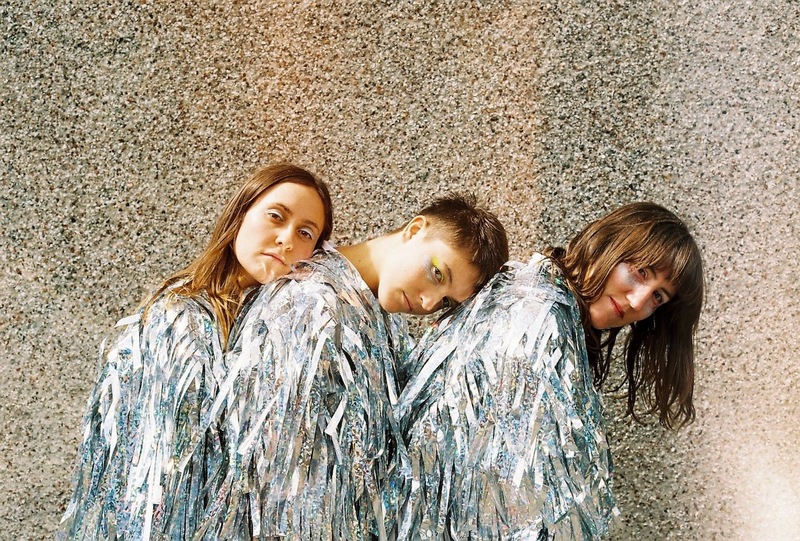 In the lead up to Wow Machine, Clash spoke to Stealing Sheep about the preparations and why Delia Derbyshire is so influential to them. Delia Derbyshire is often referred to as the unsung heroine of British electronic music and during her time at the BBC Radiophonic Workshop, she was not acknowledged formally for her contribution to the famous arrangement of the Doctor Who theme tune. At that time the BBC didn’t officially hire women for sound technician roles and therefore she couldn’t be credited, she’s only now being retrospectively recognised through the on-going efforts of her colleagues who have made it their priority to promote her work and explain her talents through radio, TV, journalism and word of mouth. This is how we got to know about her. We collaborated with the Radiophonic Workshop on a live soundtrack for 'la planet sauvage' a 1970's sci-fi animation. They passed us an archive of her foley tapes and we began to discover more about her ways of thinking and her inspired approach to making music. She was a huge fan of tape machines and recording found sounds... manipulating them, tuning them and looping them into sequences. Her compositions relied on her skills in mathematics, as the process was a meticulous exercise of cutting and sticking tape... a process that is now so easily emulated in software today. She was almost obsessive and insular as she worked and rumoured to stay up all night experimenting with sounds in Maida Vale Studios with endless meters of tape. She was dedicated to tape recorded sounds as she felt she could achieve an organic lifelike quality that she couldn't achieve with synthesisers and when the BBC moved on to these methods of sound she lost a lot of interest and eventually moved on saying they just weren't 'human enough'. After her death a large collection of tapes were found in her attic of soundscapes, foley and minimal loops. She had continued to make these esoteric loop-based soundscapes until she died and she had a very exploratory approach to composition. In many ways she is very comparable to outsider artists as she didn't do music for exposure or fame, her motivation was inspired by self exploration. It doesn't appear to have been a social or performative based world. The music doesn't relate to the mainstream or other music references of the time and her recordings historically refer to some of the primitive early workings of what would become termed as 'minimal techno' incorporating sparsely chopped beats that mechanically sequenced. She has been an extremely inspirational woman for us to learn about and listen too. We have made new compositions out of her sound effect recordings..using her 'explosions' as kick drums, using 'gun shots' as snares and using a 'ray gun' as an arpeggio hook line. It's also amazing to find out about women from this time that were so talented and skilled in areas that are stereotypically seen as masculine roles, this is inspiring for us and creates a role model for other aspiring female electronic artists. When we began thinking about the event for The Hexagon Experiment, we thought about the music & science theme which lead us to think about machines and technology and the role they play in our music. This lead us to thinking about music making methods and Delia Derbyshire’s sampling techniques which draw parallels to machines and humans. This inspired the idea of a Wow Machine which involves her machine samples creating organic rhythmic loops that are symbiotically synchronised to choreographed dancers. We chose to work with an upcoming feminist theatre and dance artist called Kate Cox, as her physical interpretation of this concept was so captivating! Delia’s influence is not just musical though. Her presence as an influential female electronic artist is very close to our hearts as we are always seeking female role models and idols that give us courage to do the same. Even though we have referenced Delia Derbyshire as our main female and musical influence for our event, we have also taken a lot of inspiration from Kraftwerk and are hoping that a female-powered techno electronica outfit, which we have designed and made ourselves will WOW audiences and reveal our own kind of magical mystery tour!